The Fugger are pretty much a German myth, their name a synonym for a wealth hard to imagine and an economic power in the hands of a single person that has yet to be rivalled. I did not learn anything about the Wittelsbach, the Guelphs or even much about the Hohenzollern in school - but we did talk about the Fugger. Jakob Fugger's life and work are stuff legends are made of: Often described as the richest man who ever lived, the merchant from the South-German city of Augsburg was worth about $400 billion in current dollars at the time of his death in 1525. In his lifetime he accumulated a personal net worth equivalent to nearly two percent of Europe's GDP at the time. A person having the same financial power within the European Union today would have amassed a wealth somewhere in the quadrillions. "Fugger the Rich", as he was already called during his lifetime, was a merchant, mining entrepreneur and banker, who not just financed but made emperors, kings, popes and bishops. His grandfather was the son of a peasant and a weaver who started the merchant business but it was Jakob who expanded the family's assets by making their operations European-wide having an almost monopolistic hold on the copper market and also heavily investing in silver mines. While the family wealth has dwindled in the 500 years since the death of Jakob Fugger - there is one place where the name is still as much talked about as ever: The Fuggerei in Augsburg. Fuggerei? Yes, the world's oldest social housing complex still in existence taking its name from the family. 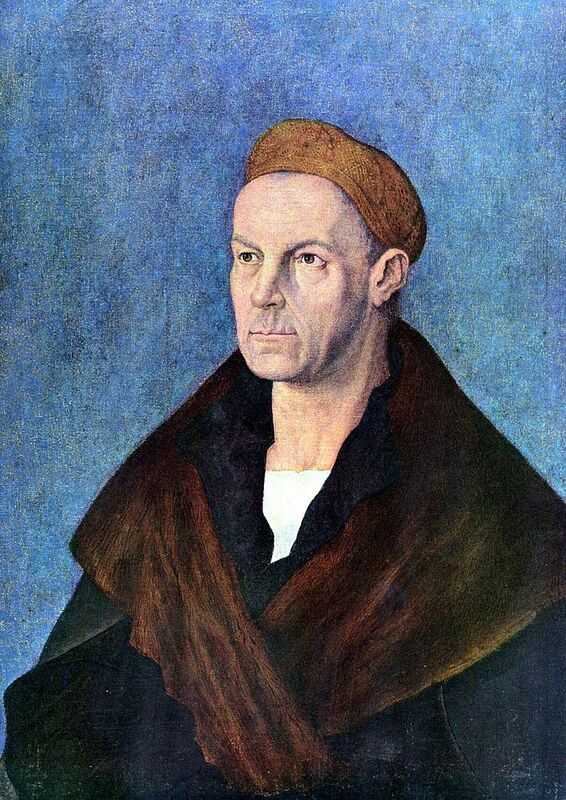 Richer than anyone can imagine, Jakob Fugger was a devout Catholic and believed that anyone who worked deserved to have a roof over their head. And so starting in 1516 he ordered the construction of the Fuggerei to give back to his city - and probably try to save his soul in the meantime. After all many believe that with his teachings and 95 theses Martin Luther targeted the extraordinary reach and power of the Fugger family as much as the general corruption of the Catholic church. Fugger built a small city within the city as a home for the needy citizens of Augsburg. The Fuggerei was designed specifically for those labelled Hausarmen, meaning people who worked to earn a living but struggled to meet their living costs. Opened in 1521, 52 houses were completed by two years later. In the following years, the area was expanded with small squares, wells and a church. Many even worked within the Fuggerei. The annual rent was and most interestingly still is one Rheinischer Gulden - or 88 Euro-Cents. While this did indeed represent a month’s salary to the workers living in the community at the time of its establishment, there has not been a raise since and it is now a symbolic token. The rental agreements, however, also boast another interesting stipulation: Three prayers for the Fugger family - the Lord's Prayer, the Profession of Faith and a Hail Mary - to be spoken daily by all inhabitants, though there probably isn't anyone who actually controls this. During the Thirty Years' War in 1642, the Fuggerei was largely destroyed by the Swedish but later rebuilt. It was also during the 17th century that the Fuggerei had its now most famous inhabitant: The mason Franz Mozart, great-grandfather of Wolfgang Amadeus, lived in the complex between 1681 and 1694. Expanded a few more times over the centuries, the Fuggerei was once again destroyed during a bombing raid in early 1944. The decision to rebuild was made by the Fugger family on March 1, 1944, with construction works starting shortly after the end of the war a little more than a year later. Last expanded in 1967, the Fuggerei today comprises of 67 houses with 147 apartments measuring up to 65 square meter, all with their own front door on street level. The conditions to live there still remain the same they were almost 500 years ago: One must be a citizen of Augsburg for at least two years, Catholic and have become indigent without debt, for example by illness, death of a family member or too small a pension. The Fuggerei is surrounded by a wall and to this day the gates close at 10pm. The inhabitants actually have to pay 50 Cents - more than half a years rent - to get in after 10pm, though the night watchman is allowed to keep the money. Instead, the Fuggerei is financed by one of the nine charitable foundations established by Jakob Fugger and his descendants still run by the family, which today consists of three branches though none of them actually descent from the famous Jakob, as he died without any legitimate children, but instead from his nephew and heir Anton. The foundation owns a large number of woodlands close to Augsburg and other real estate outside of the Fuggerei. 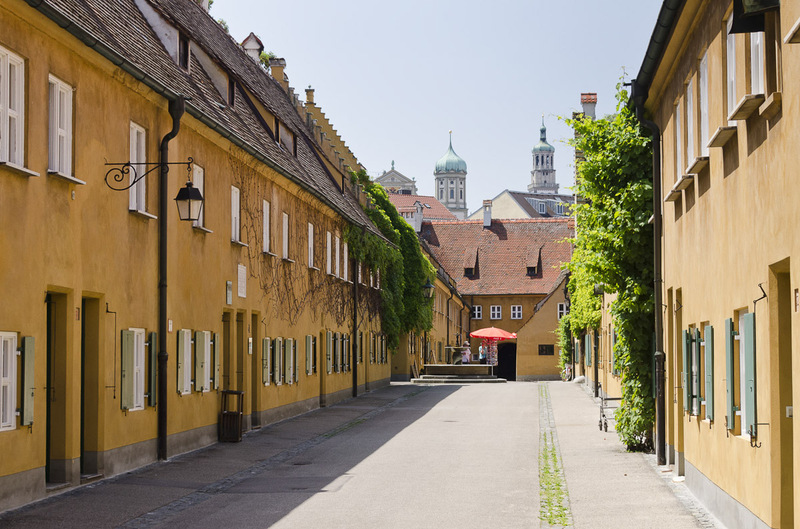 In addition tourism has become one of the main contributions to finance the Fuggerei. Admission may cost more than four times the annual rent but it is money well worth spend! The place - and all of Augsburg - is definitely on my list of places to see.